The Scarlett bustier is crafted with floral-detailed lace and boned for support. Make it strapless by simply removing the adjustable straps. 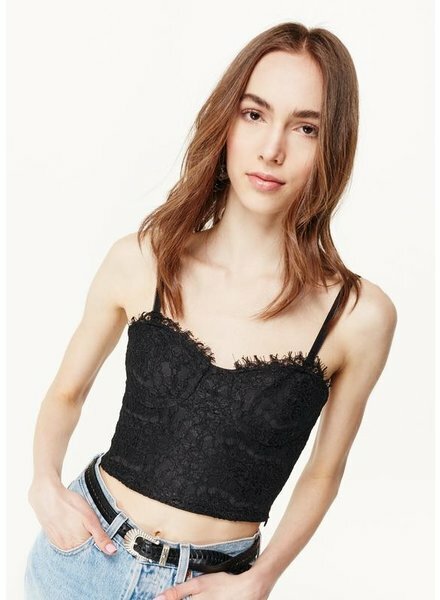 Suggested to wear without a bra.